This is a fabulous decorative item for a period / Georgian interior. This is a tilting table top mirror. It stands to two feet when on display they sit parallel and when travelling these twist around to lie flat to allow the Georgian gentleman to pack flat and store in his travelling chest. 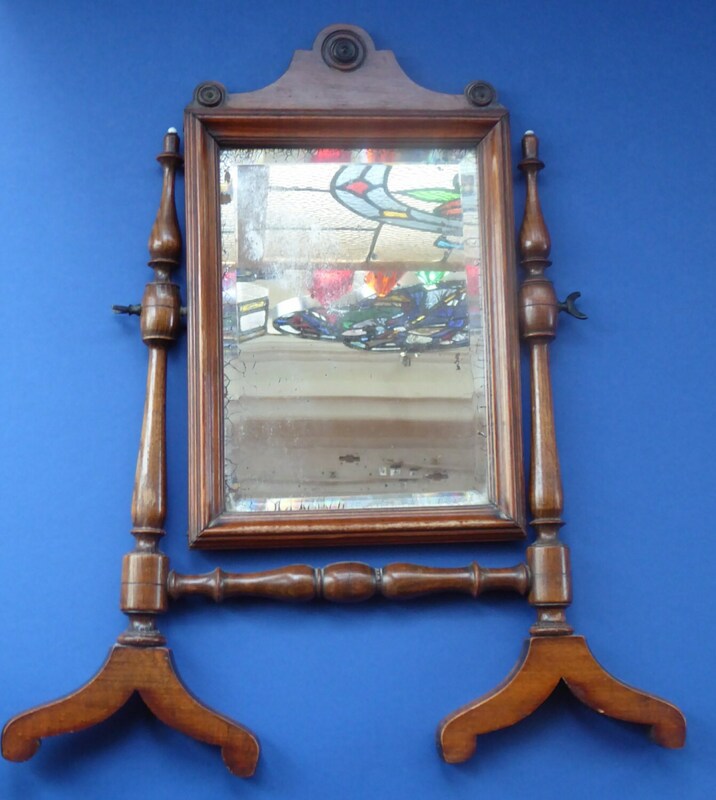 This lovely old mirror was probably originally a fine shaving mirror. 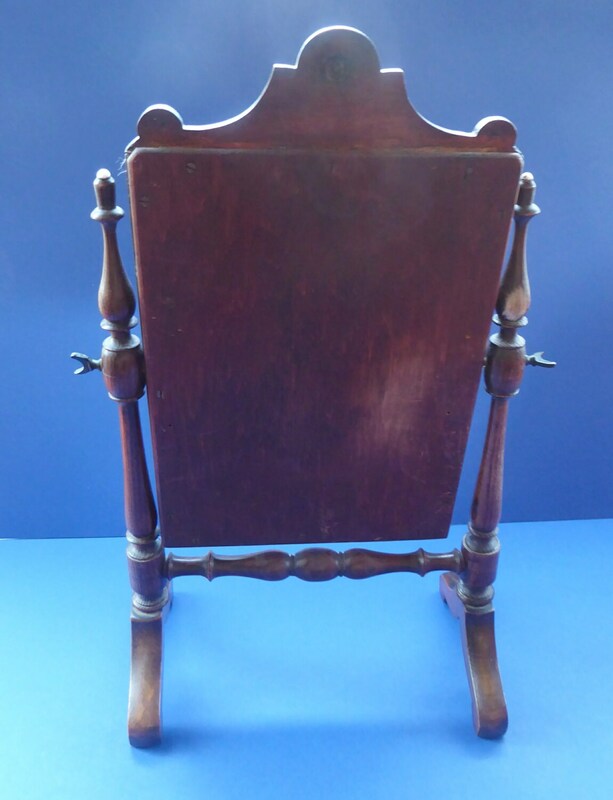 It is a lovely antique piece with fine turned upstands, complete with the original screws to control the tilting section. A fine carved pediment at the top - with circular patera in the centre. 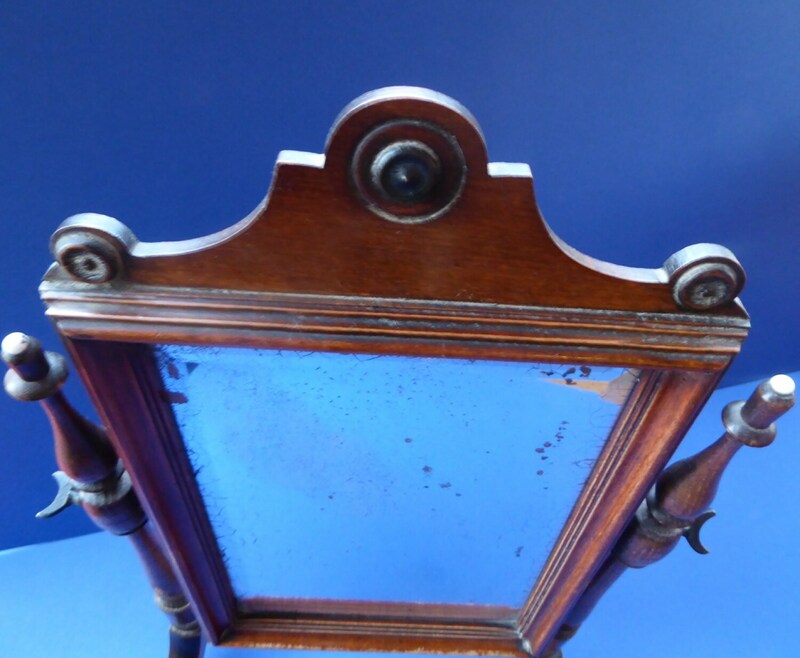 The back of the mirror is covered with mahogany has photographed to keep it safe in transit. It is in excellent antique condition. 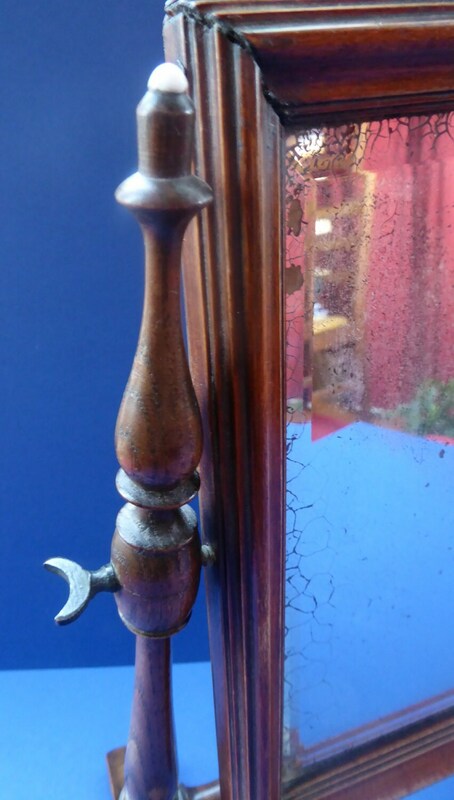 The mirror section, as you might expect, is original to the mahogany stand, but has suffered some shabby-chic distress to the bevelled looking glass - a little touches of silvering to the edges and a little cracqulure, but not too major - commensurate with age. More photographs could be supplied on request - but quite difficult to take images of this obviously due to its reflective nature. Height: from base to top of the the pediment section is 16 1/2 inches. Width of feet when laid flat is 14 inches. From wing nut to wing nut is 10 1/4 inches. Dimensions of the mirror section (on view) is 8 inches by just over 5 1/2 inches. Weight unpacked is 750 grams - so would be about 2 kg all packed up. 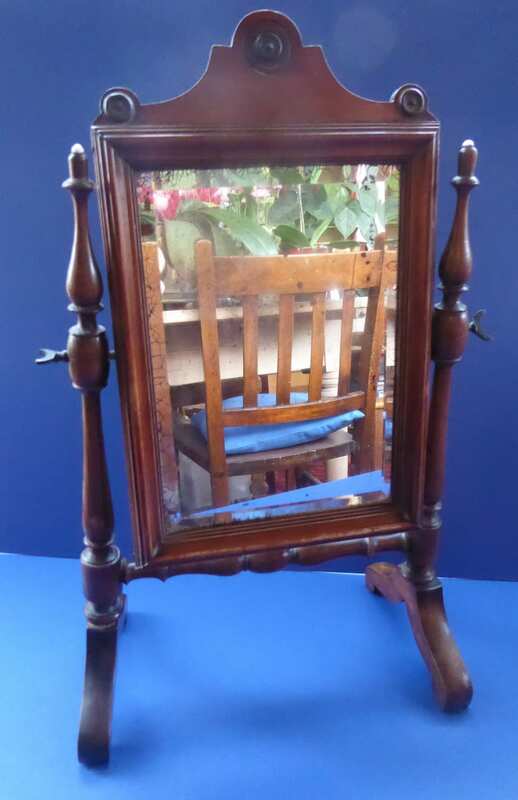 Really nice antique Georgian mirror - dating to the very early 19th century. Would be able to post outside of the UK.